Hugh Jackman and Ryan Reynolds have the ultimate bromance; they obviously respect and love each other but decide to show this affection through banterous insults and jibes. Meaning us mere mortals get to sit on the sidelines and observe their little ‘feuds’, with mixed parts adoration and hilarity, without any effort on our part at all. 10/10 entertainment. 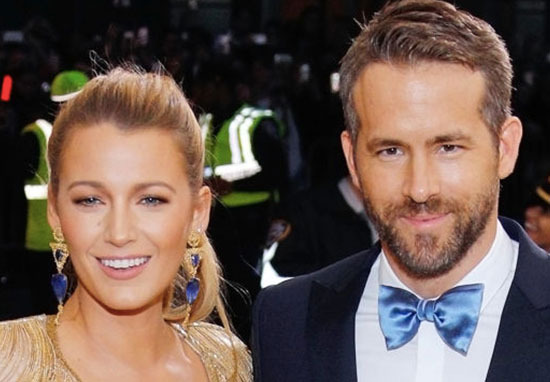 But what if, after all this time, the biggest diss Jackman could serve Reynolds, would be to point out the simple fact he looks like Blake Lively – Reynolds’ wife – or at least, the female version of the Australian actor. The pair have been throwing digs at one another for at least a year now on social media, with each of them refusing to spare the other’s feelings, with their sarcastic quips and hilar jibes. Oh, and they usually involve Lively in some way. If I’m honest, its usually Reynolds in the driver’s seat, while the other two simply go along for the ride (and the entertainment, obvs). Although, the Deadpool actor has been at the receiving end of Jackman’s wrath on many occasions. This time though, Reynolds got trolled in the perfect way, with Jackman and Lively having to make absolutely no effort whatsoever. That’s because it’s been pointed out a female version of Hugh Jackman looks a bit like Blake Lively, freaking Reynolds out beyond belief. BUZZNET tweeted several celebrity headshots next to their ‘female versions’ last week, one of those being The Greatest Showman actor. People were quick to respond, with many suggesting this could perhaps be the reasoning behind Reynolds’ so-called obsession with Jackman. Not one to stay quiet on such pivotal issues, Reynolds’ then responded in his typical, sarcastic fashion, thanking the website for pointing the similarity out. Jackman hasn’t responded yet, but I can’t imagine it’ll be long before he jumps on the opportunity to rip into his best pal/frenemy. Especially because it seems he and Lively enjoy siding together against Reynolds. Just last month, the pair were in cahoots after the Deadpool actor ‘misbehaved’ at Jackman’s coffee shop. The Australian actor posted a picture of the (not so) loved up couple to his social media, telling Reynolds off for his bad behaviour. The Wolverine actor promised Lively free coffee for life as a result of her husband’s behaviour. I guess now we’ll just have to wait and see what Jackman’s got under his sleeve.